As per reports, a suit has been filed before the Bombay High Court (“Court”) on November 21, 2018 by Radha Bharadwaj, a US based Indian origin filmmaker, producer and screenwriter (“Plaintiff”) against Ellipsis Entertainment Media LLP, Cape of Good Films LLP, Fox Star Studios India Pvt. Ltd. and actress Vidya Balan alleging infringement of copyright in her original screenplay. Plaintiff claims that the original screenplay was shared by her with Atul Kasbekar (director of Ellipsis Entertainment Media LLP, one of the defendants in the suit) in 2016 for the purpose of funding her film. The suit further claims that Atul Kasbekar’s firm was bound by the terms of a non-disclosure agreement that prevented them from divulging the details of the Plaintiff’s project without obtaining her written consent. The suit places reliance upon an e-mail from Atul Kasbekar’s team which purportedly admitted sharing the screenplay with actress Vidya Balan in violation of the non-disclosure agreement and confirmed that the latter had read it. Apparently, Atul Kasbekar’s team is stated to be involved in negotiating the deal for Vidya Balan’s new movie, Mission Mangal. Promoted as India’s first space film, ‘Mission Mangal’ (“the Film”) is based on India’s Mars Orbiter Mission launched in 2013 also known as Mangalyaan. 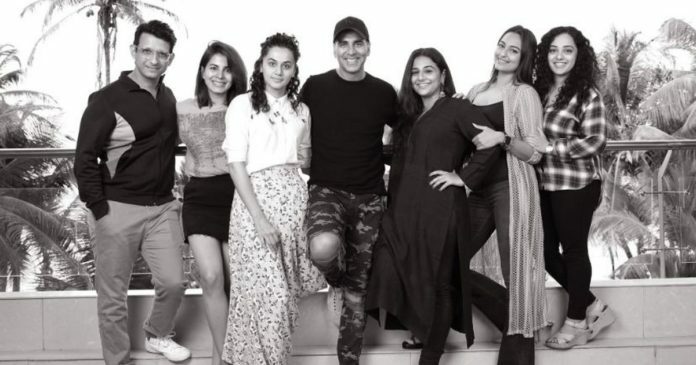 The Film is being produced by Fox Star India, Akshay Kumar’s production house, Cape Of Good Films, in collaboration with R Balki, directed by Jagan Shakti and stars Akshay Kumar, Vidya Balan, Sonakshi Sinha, along others. As per reports, the Film is based on the role of woman scientists who were a part of India’s first Mars expedition. 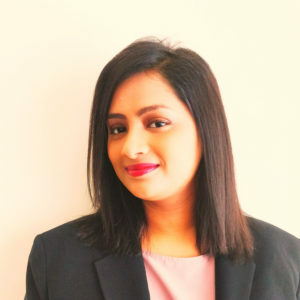 The Plaintiff’s lawyer, Srishti Ojha claims that while there are hundreds of ways to tell the story of Mangalyaan, but it was the Plaintiff who had come up with the “angle of focusing on the women engineers working on the mission.” The Plaintiff claims that she has registered her screenplay with the US Copyright Office in 2016 pursuant to receiving support for her movie from the Indian Space Research Organisation (ISRO) which facilitated interviews with its engineers. While the shooting of the Plaintiff’s own film, “Space MOMs” has been recently completed, it is alleged by the Plaintiff that efforts towards production of Mission Mangal were being expeditiously undertaken “to cripple the commercial prospects of her venture”. The Plaintiff also asserted that the haste in completing the production of the Film is clearly indicative of the fact that it is the same as hers. In view of the above, the Plaintiff has approached the Court seeking an injunction on the production and the release of the Film. Giving the makers the benefit of doubt, the Plaintiff acknowledged that they could have earlier been unware of her association with Atul Kasbekar’s team, but has now urged them to act honourably in light of the allegations made by her. Refuting the claims of the Plaintiff, R Balki, one of the producers of the Film, also stated that, “Firstly, Atul Kasbekar does not even know of this project (Mission Mangal) and Jagan (the director) and I met Vidya personally, not through him or anybody else. I don’t even know if Atul is her management person.” He further claimed that the Film is based on an original screenplay, stemming from a “core story that only ISRO can claim rights to”, that he helped the director, Jagan Shakti with. The latter has apparently been working on this concept for three years. R Balki further welcomed the Plaintiff to read the script of the Film stating that it was wrong on her part to make allegations of infringement without reading their script. As per a preliminary search on the US Copyright Office website, the only record to the credit of the Plaintiff in the year 2016 is in relation to a script/screenplay titled “A Most Auspicious Journey”. The listing date of the matter before the Bombay High Court is currently not available on the High Court website.